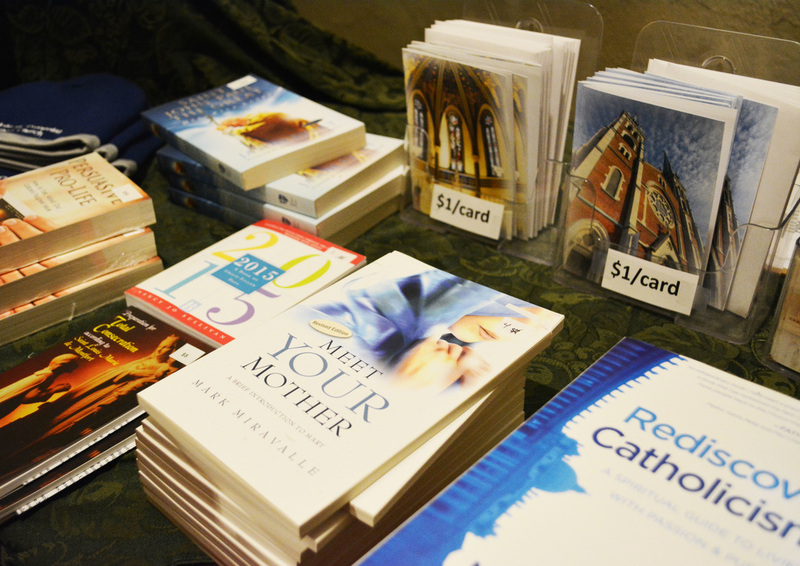 The St. John the Baptist Resource Room offers a wide variety of resources aimed at equipped parishioners and friends of St. John's to dive deeper into our Catholic Faith. The Resource Room is typically open the first weekend of each month following all weekend Masses. For questions, to sign up as a volunteer or for more information on the St. John the Baptist Resource Room contact the Parish Office or 317.635.2021. This is what we have the most of. There are books spanning the whole spectrum of Catholicism. From John Paul II’s Theology of the Body to Scott Hahn’s writings and conversion story and from Bibles to book studies, we have it. We even have material for the already knowledgeable Catholic and someone who is new to the faith. We have a great selection of CDs. This makes a great gift for those with long commutes or going on a road trip! You can find CDs on church teaching as well as some that share stories of how the love of Christ has transformed lives. Our DVD selections highlight the lives of the saints, the history of holy places, and more. We even have some for the kids. Perhaps one of our most unique selections is our St. John the Evangelist greeting cards. After the major church renovations were complete, beautiful pictures were taken of the church and made into blank greeting cards. Make someone smile today by sending them a card; a fading art of expressing kindness and love. Interested in helping with the resource room? Sign up to be a volunteer! 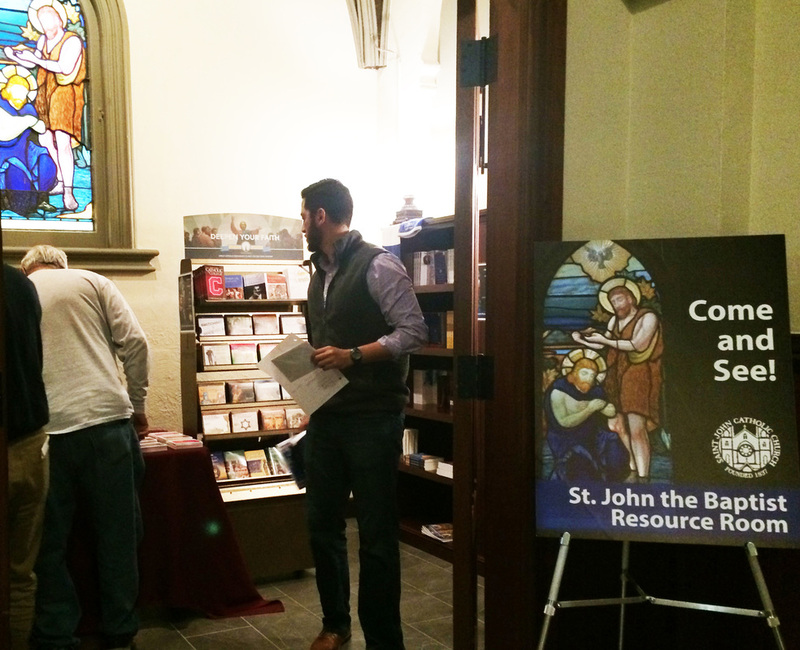 Currently we open the St. John the Baptist Resource room the first full weekend of the month. We are looking for volunteers to staff the room after those masses. We would contact you as the weekend approaches, and you can sign up to be in the room to serve those who visit. We would love to have more volunteers to allow for the St. John the Baptist Resource Room to be open during major events happening downtown and during church tours. With your willingness to make yourself available, we can serve more of God’s people.